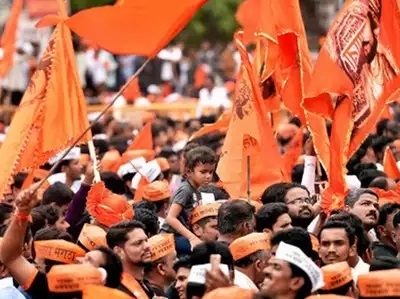 Mumbai, Jan 29: The Bombay High Court on Monday asked the Maharashtra government to submit the Backward Class Commission’s report on Maratha reservation as sought by petitioner. Responding to the plea challenging Maharashtra government's move, the division bench of Justices Ranjit More and Bharati Dangre has instructed the state government to fulfill the demand raised by the petitioner. The High court also Refuted state government’s argument over the possibility of communal tension and law and order problem. The Bombay High Court will take up the matter on February 6. Last year in November, based on the recommendations of Backward Class Commission, Maharashtra government under the leadership of Chief Minister Devendra Fadnavis had cleared the long pending demand of Maratha reservation. The state legislature unanimously passed a bill with the provision of 16 percent reservation for in government jobs and education for socially and educationally Maratha community. During 2014 Maharashtra assembly polls, then Congress-NCP government had announced the reservation for politically dominant Maratha Community but it was overturned by the High Court. Later, Chief Minister Devendra Fadnavis directed Maharashtra State Backward Class Commission to study the feasibility of the Maratha reservation and other legal aspects in order to address the issue raised by the Maratha community. The BJP-led NDA government was at the receiving end for allegedly delaying the demands of the Maratha community, having a share of 33% in the population.